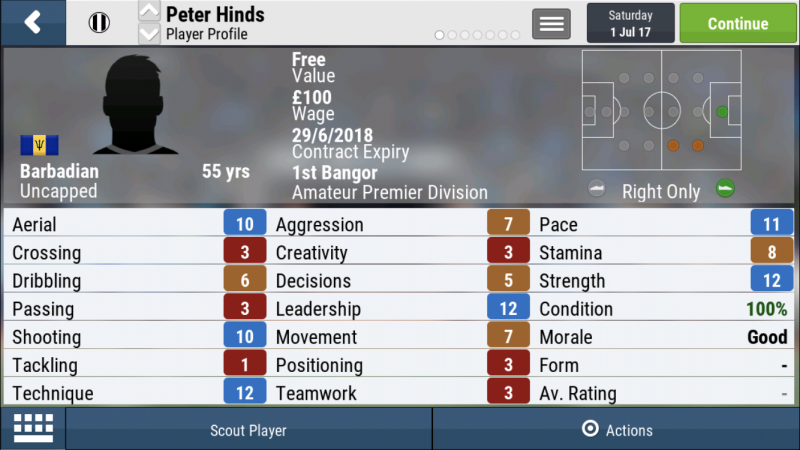 It always makes me laugh when you consider there are loads of players with under 10 pace which this 55 year old could fly past, it just brings a smile to your face. So as you know our first head to head challenge between myself and @Dave994 was to take 55yead old Peter Hinds to West Brom in the English Premier League and see how many goals we could get this veteran to score. With stats like this it was going to be a challenge. 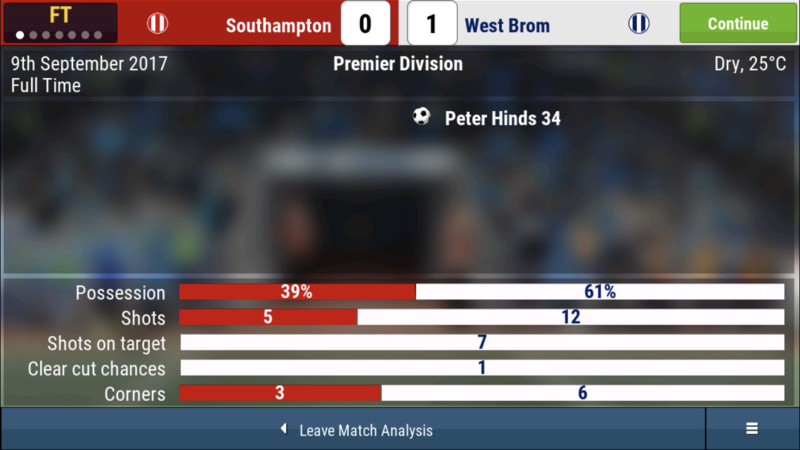 Peter Hinds becomes the Premier Leagues oldest goal scorer with a goal for the baggies in their 1-0 win over Southampton, taking over Glen Murray who held the record by scoring in Brighton’s 3:2 victory over Man Utd. Glen will need to wait another 20 years before he can attempt to reclaim his record. 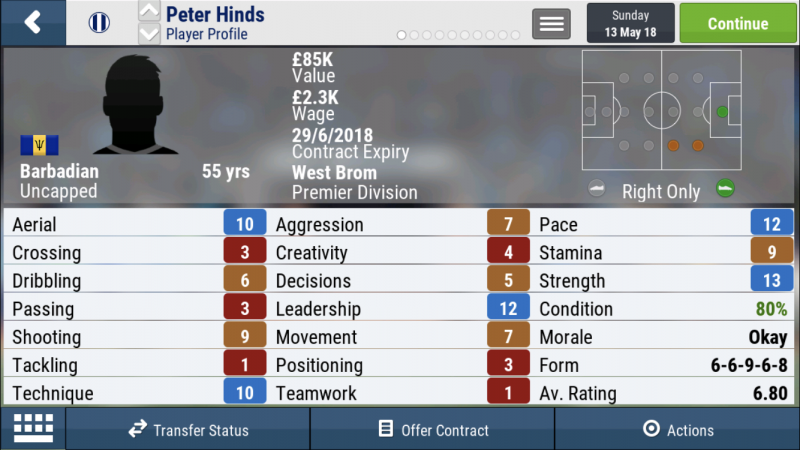 He made a good impact to the team by setting a fantastic example to the youngsters, and his dedication to training has seen some of his stats improve including his speed and Is faster than some younger players in the squad. But we all know what happened irl. So what about Peter himself, how did he do in the dizzying heights of the Premier League. now I’m sure @Dave994 is hot on my heals and will be smashing this score very soon. It was an enjoyable challenge and may the best man win. Just hope to god that it does. 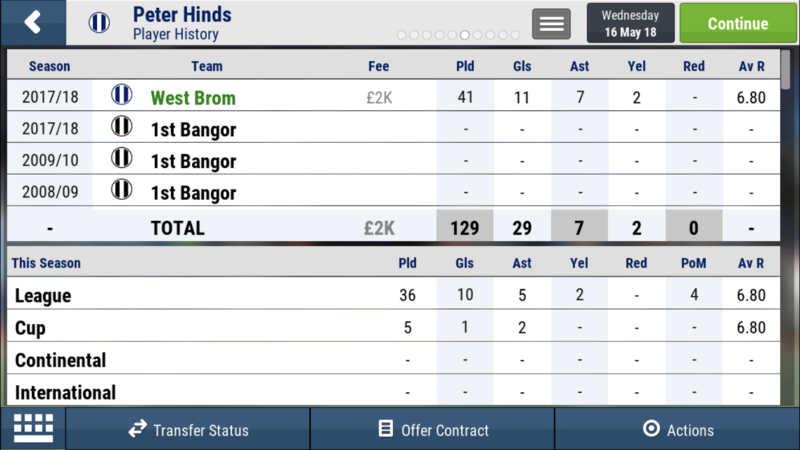 Peter Hinds managed to score 13 goals, only just beating @PilgrimAsh score. There's nothing to be ashamed of though because it was very tight between us. Thanks. Hopefully it will be close through the whole H2H. Thanks. 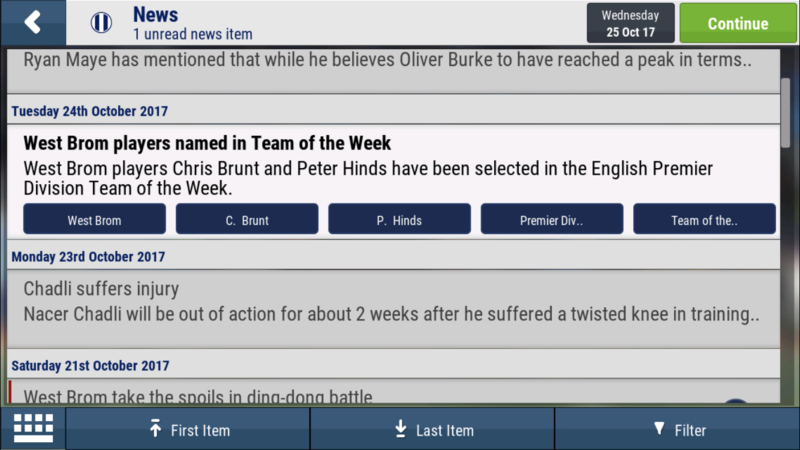 Well done to you as well. 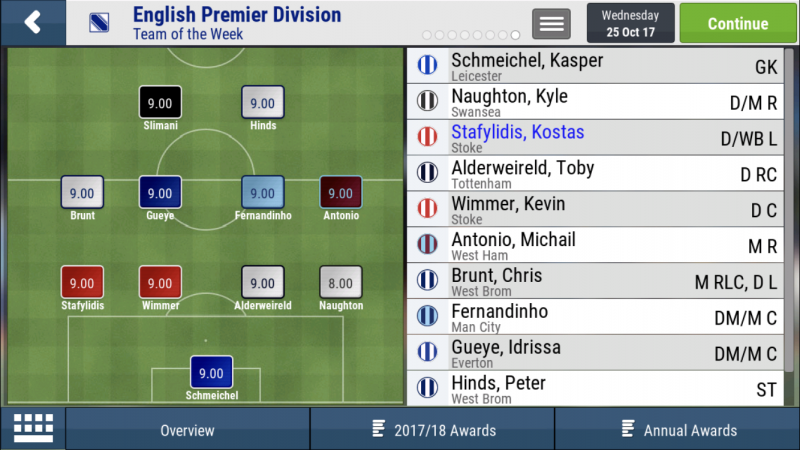 Nice 7th place. Thanks mate, where’d did you finish up in the league? 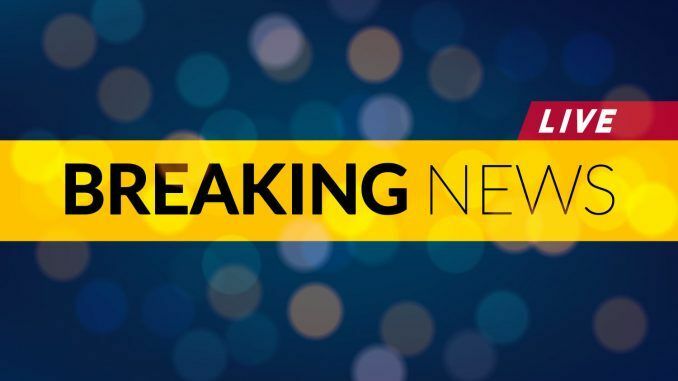 So @Dave994 takes a 1-0 lead from the first round with PilgrimAsh needing to bring one back to keep things on track, and here we have a tastey round to see who can bring two brothers together once again and see who can get the most out of them. There have been many brothers that have made an impact in football throughout the years, including the Ayew, Toure, Ferdinand, and Neville brothers but have you heard of the Murphy’s. 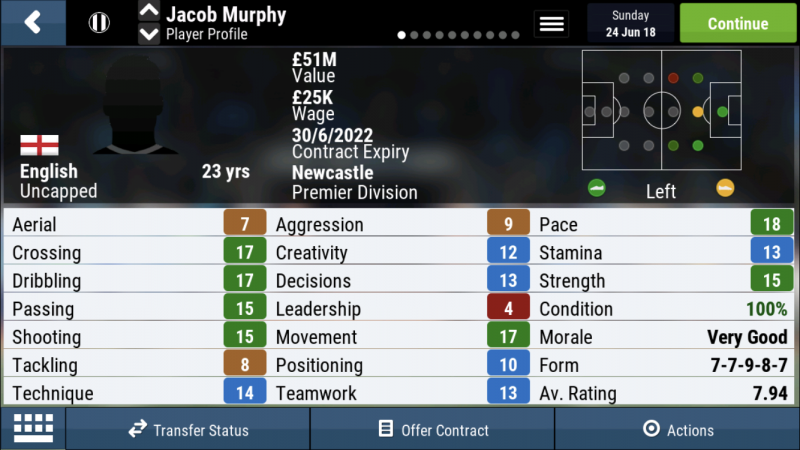 Well look no further here we have Jacob and Josh Murphy wingers who started out at Norwich before Jacob was snapped up by Newcastle but admittedly Rafa was eyeing up his brother too who was flourishing in his brothers absence with more game time making and question if Rafa has bought the right twin. The challenge here will be to take over the Toon Army and bring in the other Murphy twin to reunite them once again, you will then need to retrain them both to become strikers and sell/demote any other striker on you team. 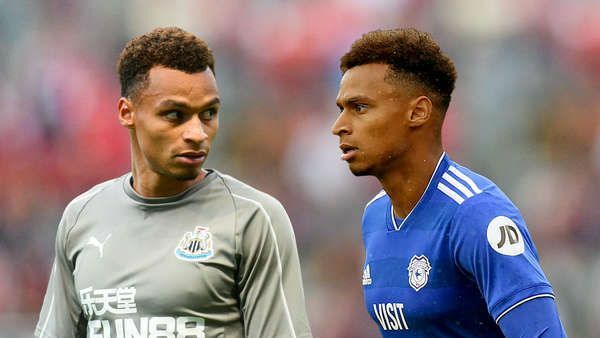 This challenge will be to use Jacob and Josh in every game excluding injuries and try and score as many goals and assists between the pair as possible. Just caught up and enjoyable stuff so far. 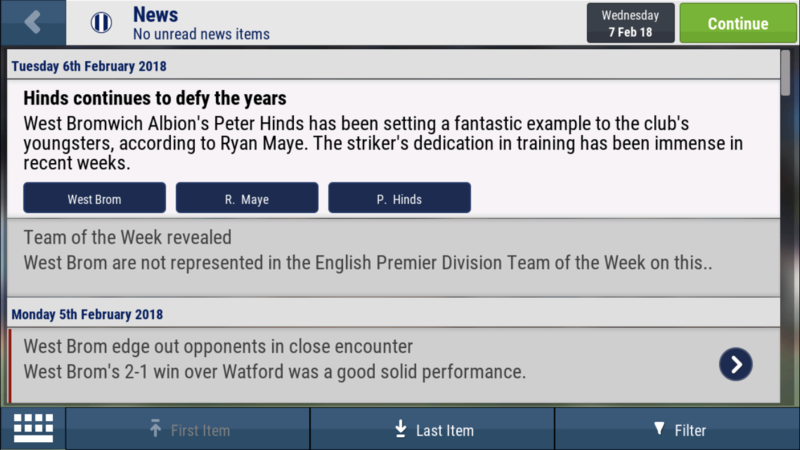 Good job with the big man. Don't listen to @samhardy... He just jealous that everyone uses Newcastle for challenges instead of Sunderland! This challenge is just perfect as it is! Good luck guys! 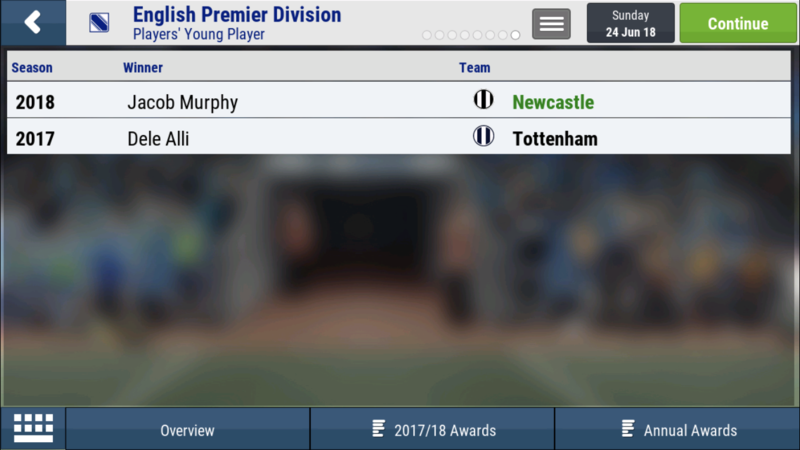 So the Murphy brothers were once again reunited and this time it was with the Toon Army and had their sights set on lighting up the English Premier League. Was it going to be a season of glory for the twintastic duo or would they be a flop and considered to be flops at this level of football. Both Jacob and Josh took to their retraining very well and we’re strikers shortly after the new year. 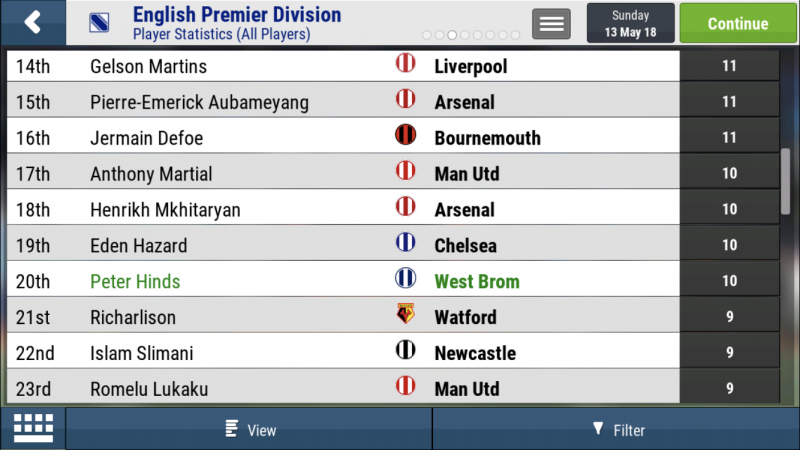 These are their final stats after the season. Some nice greens from both players. 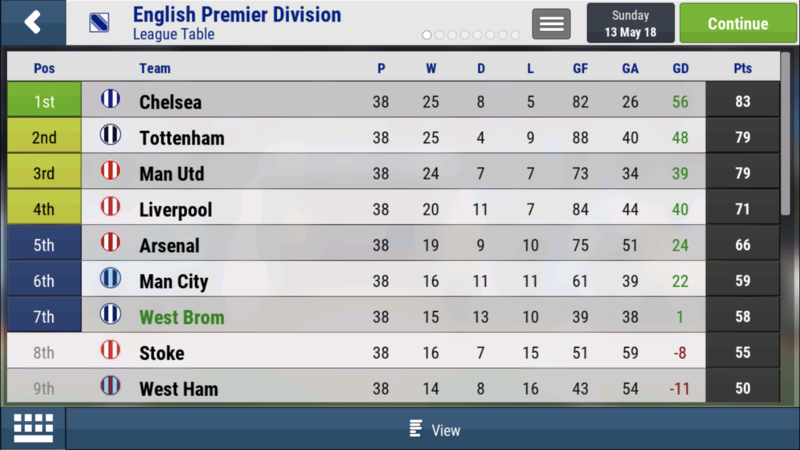 So how did we fair in the League, well let’s take a look. 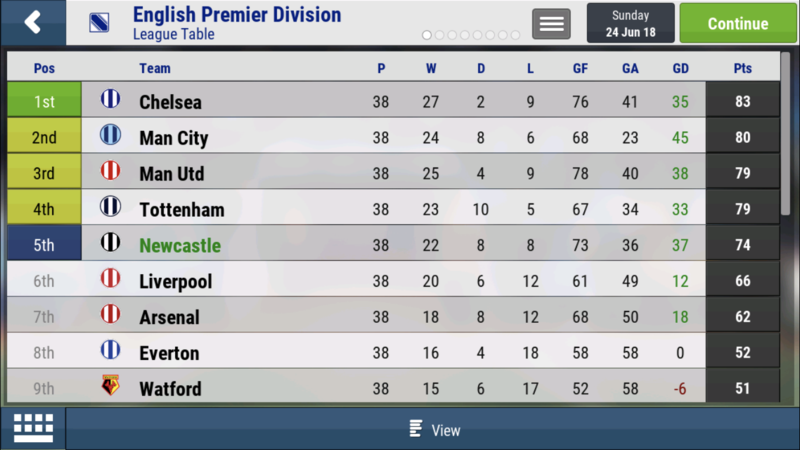 Not a perfect season but a strong campaign from the Toon finishing 5th and qualifying for the Euro Cup group stages. 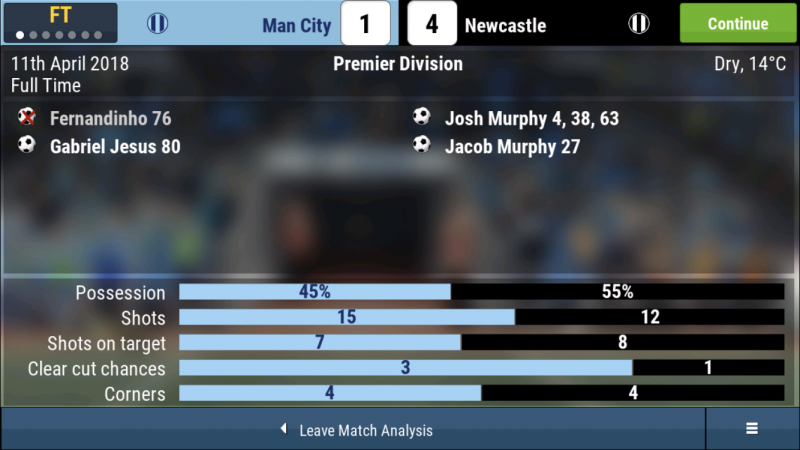 In the Carabao Cup we seen ourselves loose 2-0 in the Semi Finals to the Gunners after Lascelles taking an early bath before half time and a disallowed Murphy goal being the difference between the two. 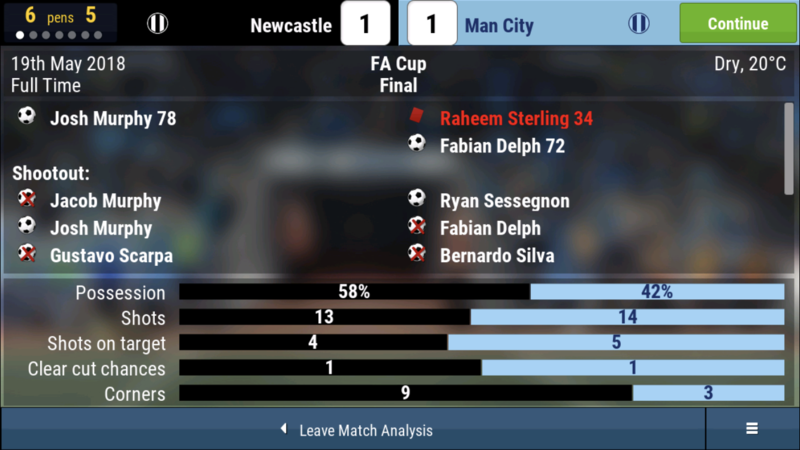 However we made up for this in the FA going all the way and clinching the cup on penalties, talk about nail biting stuff. 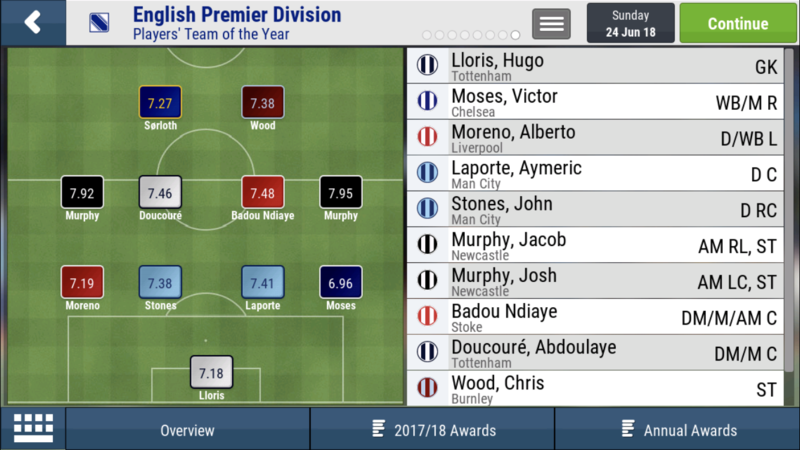 Both brothers make the Prem’s team of the year. 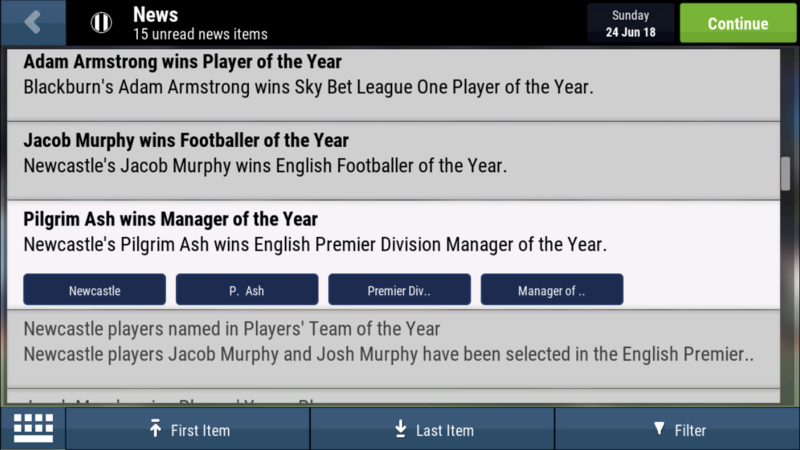 And I win the esteemed Manager of the Year! 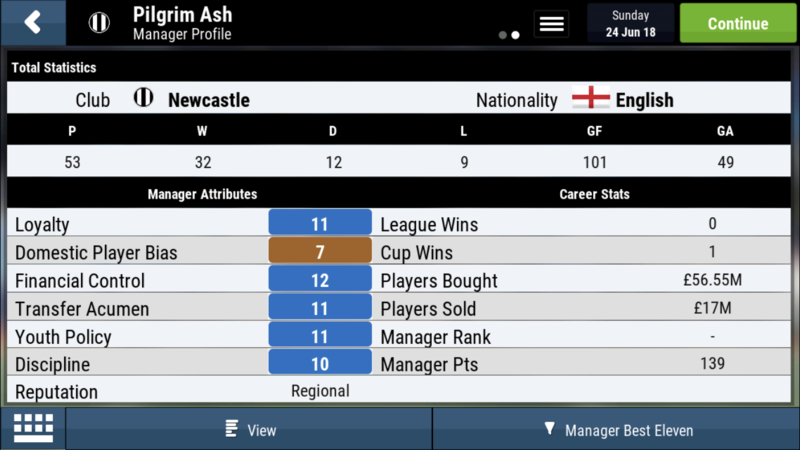 Here’s my manager stats, 101 goals I’d normally be happy with but since seeing how @Woody @Foxy@PriZe@scratch99@Nucleus @Rob2017 Just to name a few that get near this amount with a single player, so I’m setting my bar higher hence why I’m a little deflated. So how did the twins shape up. 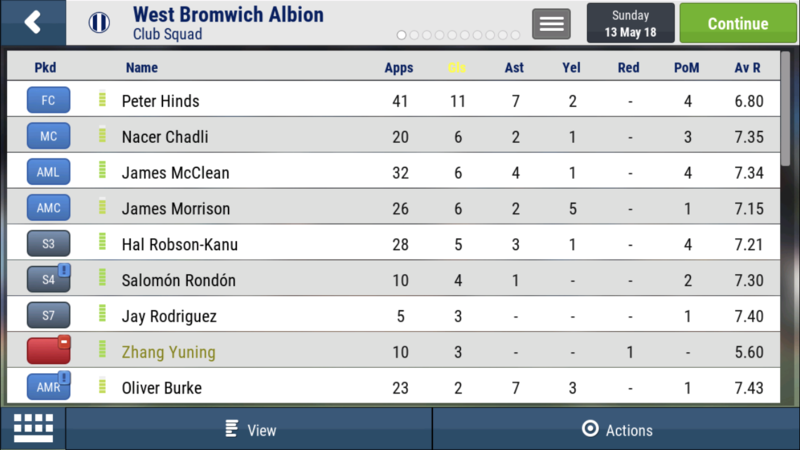 Jacob gets a total of 30 goals for the season and 15 assists. Josh bangs in 40 and grabs 9 assists. I think you're gonna win this one pretty easily.